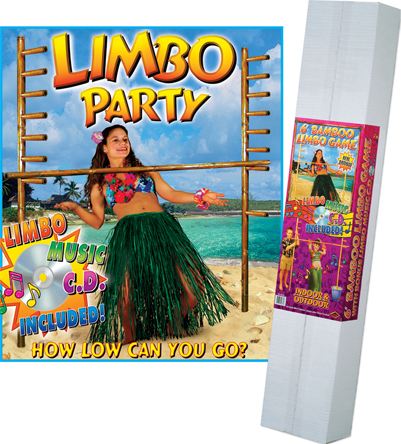 Colorful and festive, our Luau Decorating Kit is a must-have for any Tropical Theme Party. 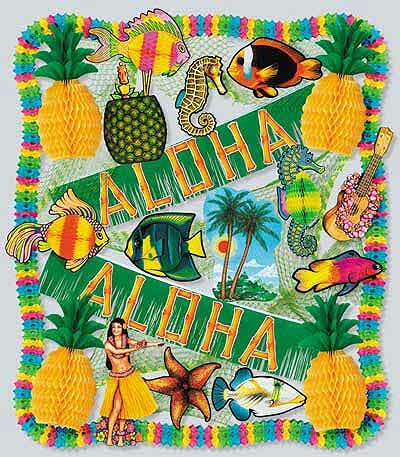 Each Kit includes a Luau Banner, Steamers, Cut-Outs, and more! 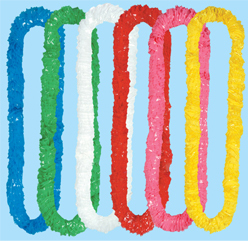 Luau Soft-Twist Poly Leis are 36" long, 1¼" Thick and come in assorted colors of Blue, Green, Pink, Red, Yellow and White. Our Luau Leis are available in 1 or 2 gross packs. Order online 24/7 from our secure online store. Our Plastic Tropical Coconut Coolers are great for tropical theme parties/luaus, drink promotions, and many other events. The Coconut Glasses come regular or custom imprinted with any design or message you choose. 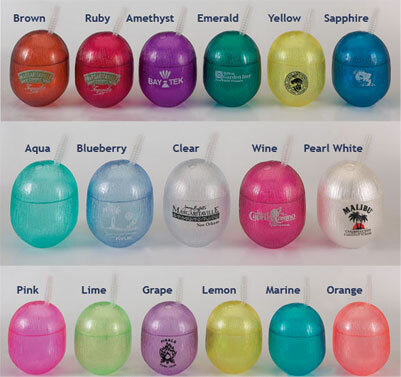 Available in 17 colors, these Plastic Tropical Coconut Glasses hold 12 ounces. Each glass measures 4¾" high and comes complete with a reusable straw. Our Acrylic Palm Tree Glasses hold 12 ounces and are 9-3/4" tall. 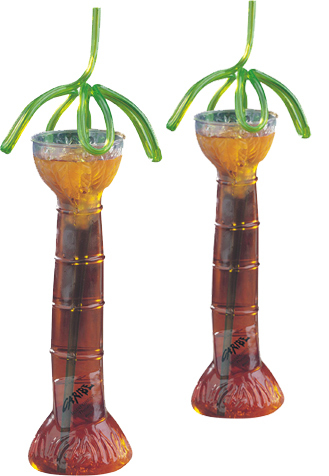 Sturdy and fun, the Palm Tree Shaped Glasses make a great addition to bars, restaurants, tropical theme parties, luaus, promotions, or any event you choose. You can custom-imprint these Palm Tree Glasses with any design or message you choose or have them blank. The unique tree top/leaf-shaped straw (optional) adds a fun, attention-grabbing touch to the drinkware. For more information or a FREE 96 Page Catalog featuring all our Bar & Nightclub Supplies, please contact us at 1-800-233-0828.